Jasper County, Indiana – A jack-knife semi closed I-65 northbound for two hours this morning at the 207-mile marker (this is two miles north of the Remington/Rensselaer exit) injuring the driver. 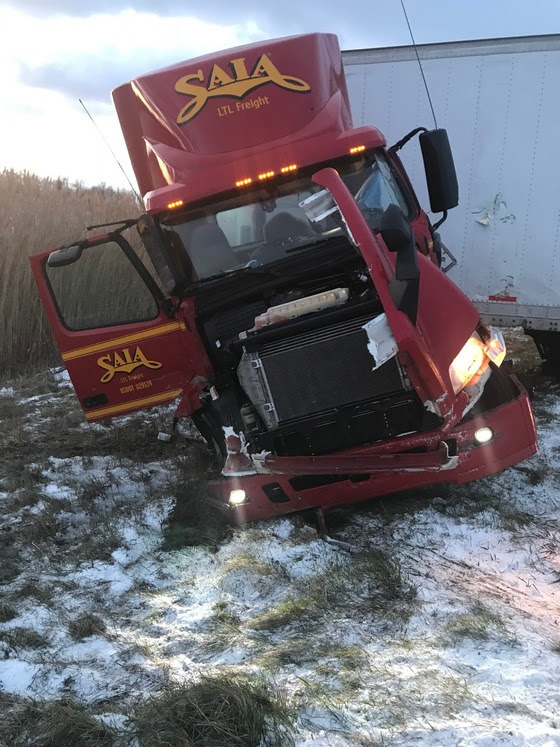 Preliminary investigation by Trooper William Stancy revealed at approximately 5:35 a.m., this Wednesday, April 4, 2018, morning, (male), 45 of Round Lake, Illinois was driving a 2008 Volvo semi pulling a box trailer, owned by Saia Motor Freight Line Incorporated out of Houma, Iowa when he lost control. Chioke was in the right lane northbound and road conditions were slick/icy when he jack-knifed. The semi went off the roadway crashed into the center median barrier cable, which caused extensive damage to the tractor and approximately fifty yards of the median cable barrier. 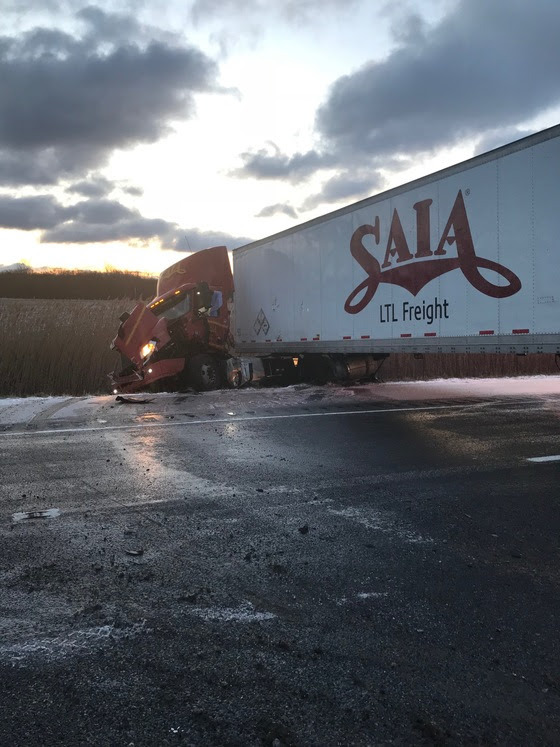 The Volvo then traveled back onto northbound I-65 and the tractor went into the east side ditch and the trailer blocked both lanes of I-65 northbound at the above location. The trailer was empty at the time of the crash. Chioke was wearing his seatbelt and was taken to Jasper County Hospital in Rensselaer with non-life threatening injuries. All lanes northbound were reopened at approximately 7:40 a.m.